You are in charge of the first newspaper of the world of dreams. Choose carefully what news should go to the frontpage. Take care of your income and reputation. Be careful with sensationalist news and uncover the secret plots of Oniria. 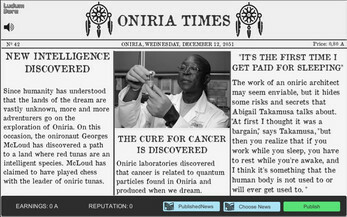 You will play 7 key moments in the history of Oniria, and your decisions can change the world. More than 5 minutes of play! 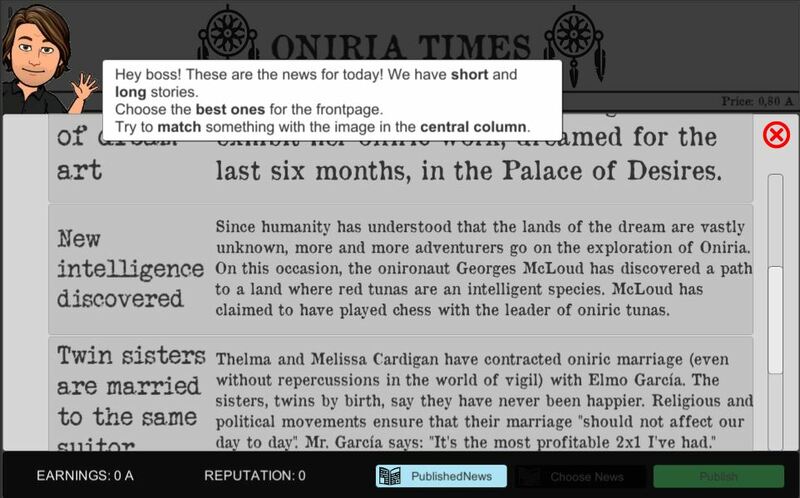 Learn about Oniria, media, and yourself. It was a fun and "oniric" time when I played. Fantastic stories and a simple but enjoying mechanic. We need more narrative great games!! Here we have an absolutely amazing idea. 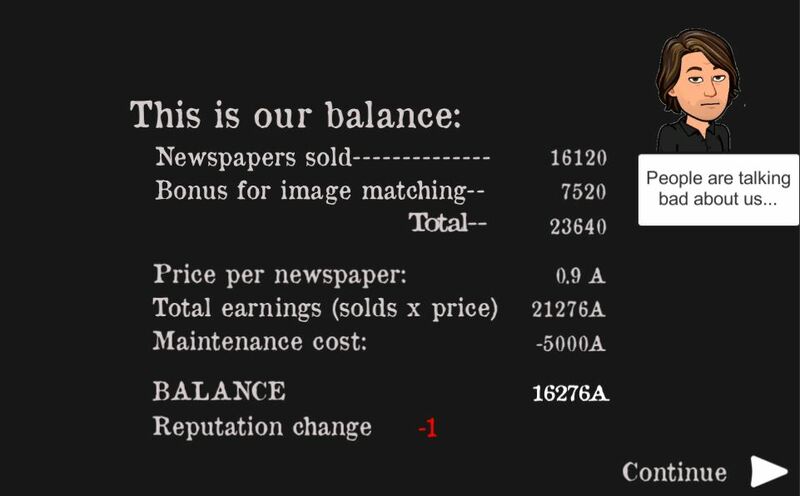 You will already know that there are some things to improve in the user interface as allow dragging and so, but i think that making this game grow with more news and perhaps adding some additional game mechanics can lead to a top seller game. Cooool.